The Parthenon Company Blog - Specialists in Wound and Ostomy Supplies: Discount Ostomy Supplies in Utah, Idaho, Wyoming, Nevada, Montana....pretty much Nationwide! Discount Ostomy Supplies in Utah, Idaho, Wyoming, Nevada, Montana....pretty much Nationwide! It's hard to keep naming every state in the title, but we consistently deliver superior customer service and the lowest prices on all ostomy supplies nationwide! Delivery by UPS, FedEx and even the US Postal Service! 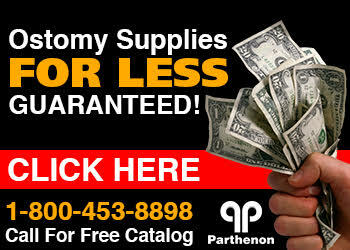 Parthenon will bend over backwards to get you the ostomy supplies you need at the lowest price! Even if you need the smallest of accessories like a clip, stomahesive paste, eakin cohesive seals, adapt barrier rings, support belts, ostomy deodorants....you name it, we've got it!